Hello TT&J fans, I am Jen and I blog over at Craft-O-Maniac. 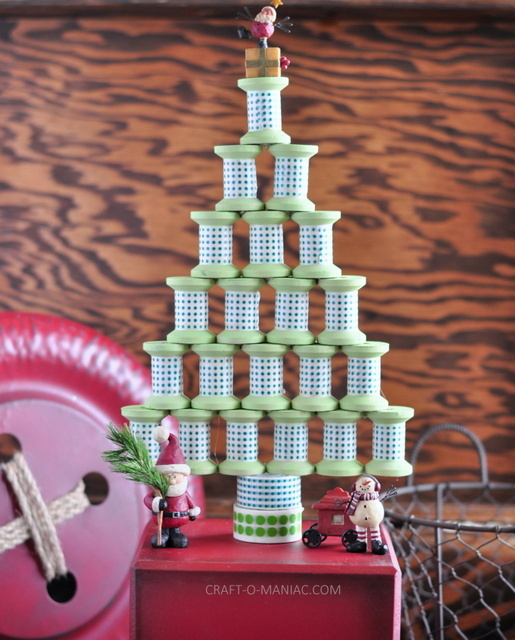 I’m thrilled to be visiting you all today and sharing this whimsical DIY Washi Tape Spool Tree. I started by painting the top, bottom, and sides of all the spools. I started by painting one end, letting them dry, and then painting the other end. Once both ends were painted, I then just painted the very top of one end. I let them dry and wrapped them in green polka dot and white washi tape. I then hot glued them all together while stacking them up, and finally hot glued down to rolls of washi tape for the trunk. I think this tree is darling to give as a gift to a crafter, or to even make for Christmas decor, or even to place it in your craft room. So fun. 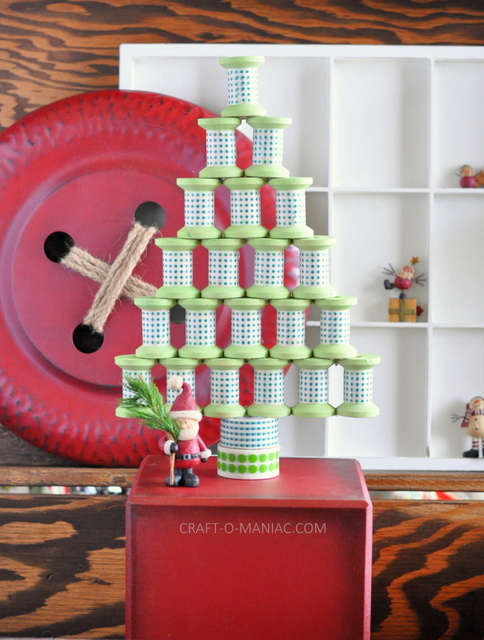 So fun, and a great project to do with family, or for a craft night. I love meeting new friends, you can find me on FB, Pinterest, and Instagram. Thanks Jen it was a pleasure visiting here today. 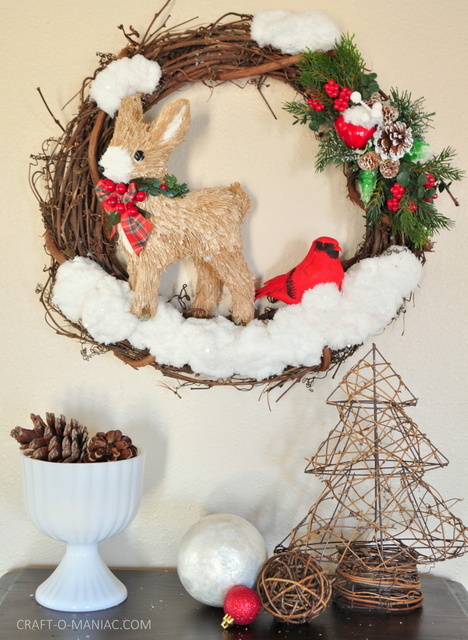 This DIY Winter Woodland Christmas Wreath is so fun, and festive for the holidays! 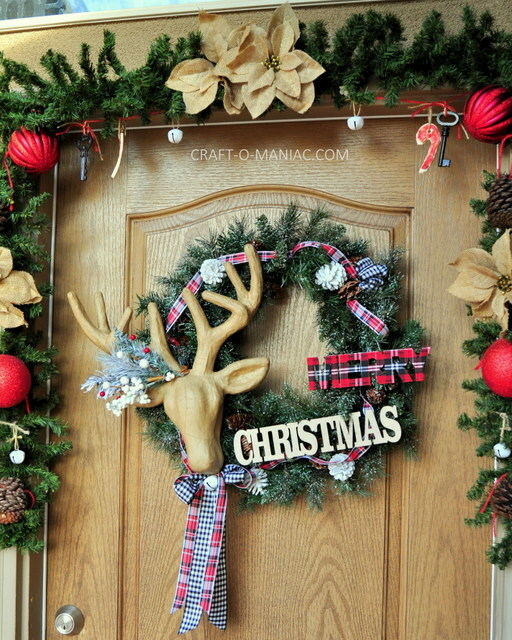 And her Rustic Christmas Porch is just darling! And, I always love a cute Christmas sign. Her DIY Rudolph Word Sign is just perfect for your holiday decor!